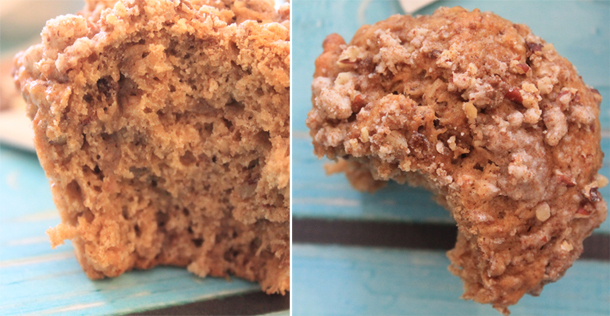 Coconut Oil Banana Muffins make for an epic breakfast. Bananas, chocolate, tea - what's not to love? Begin by preheating the oven to 325°F and brewing a cup of Chocolate Rooibos tea. It takes up to 10 minutes to brew to a strong strength. In a small bowl, combine all purpose flour, baking powder, kosher salt, and cinnamon. Whisk together to combine and aerate. In the bowl of a stand mixer, add melted coconut oil, Muscovado sugar, eggs, mashed bananas, and vanilla extract. Mix on low to medium speed until well combined. Add 1/3 of the flour mix to the wet ingredients and mix on low. Then add a bit of the brewed tea and mix again. Keep alternating until all of the flour mix and all of the tea have been added. Add chopped pecans and mix in with a spoon. Set batter aside. Line a 12 count muffin pan with paper liners, or spray with cooking spray. In a small bowl,combine the crumble topping ingredients and mix with your hands or a fork until you have small, sandy chunks. Divide batter evenly among the 12 wells in the muffin pan. Top with crumble topping. Bake for 19 minutes or until golden brown. Allow to cool on a rack, then enjoy. These also freeze well. 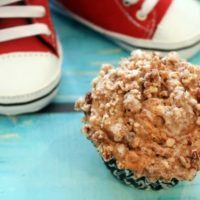 Coconut oil banana muffins have a delectable crumb topping that makes them hard to resist. They make a fantastic breakfast any day of the week. My first Mother’s Day is coming up. It’s pretty monumental. For the last few years, it’s been a somber occasion inside my brain. Infertility can do that to a girl. But this year? This year is joy personified. Not everyone knows why they were put on this Earth, but I was certain from a young age that my purpose in life is to mother. To be Evan’s mother. Of course I have other pursuits and passions – evolving into the best wife I can be to my husband, and things like creating recipes for you and me to enjoy. But EJ – he’s going to do something to better the world, and his dad and I plan to show him the way. That may sound grandiose, but I feel like each of us changes the world every single day, with big and little decisions we make. When I first started working with Green Mountain Coffee years and years ago, I had the opportunity to learn more about Fair Trade, and what a difference it means to the people who grow our food, our coffee and tea, who make our clothes. Buying Fair Trade is incredibly important to me and my family. My foremost reason is the guarantee it gives farmers and manufacturers that their work receives a fair wage. Not only that, being part of Fair Trade guarantees safe working conditions, education and health care for the farmers and their families. All Fair Trade products are organic, free of pesticides and GMOs. The products are quality because they have direct access to feedback to help create products the global marketplace wants. And this increases the farmers’ incomes and communities. This Mother’s Day, I’ve joined with Fair Trade to create an incredibly simple recipe that your Mama would love with her breakfast in bed or at the family lunch table alongside Fairtrade fruit and coffee. Coconut oil, chocolate tea, dark muscovado sugar, fair trade bananas and spicy cinnamon, and yummy pecans combine to make the most lightly sweet, subtly chocolate breakfast muffin I’ve ever had. Mama’s gonna love ’em. 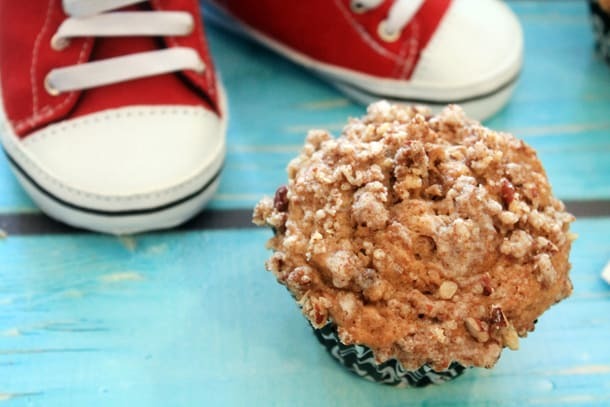 Not only are these muffins perfectly delicious, they’re positively healthy. Whole wheat, healthy fats in both coconut oil and pecans, and cinnamon that’s good for your blood sugar and digestion. What more could Mama need to know that you want her around for a long time? I’ll say it again. Buying Fair Trade is important for the planet, for the global economy, and for making a better world – one purchase at a time. I buy Fair Trade because I want to show Evan that even a simple decision, like what coffee I drink, can have an impact on someone half a world away. To me, it’s as important as recycling, or buying local when I can. You’ve got to make these muffins. 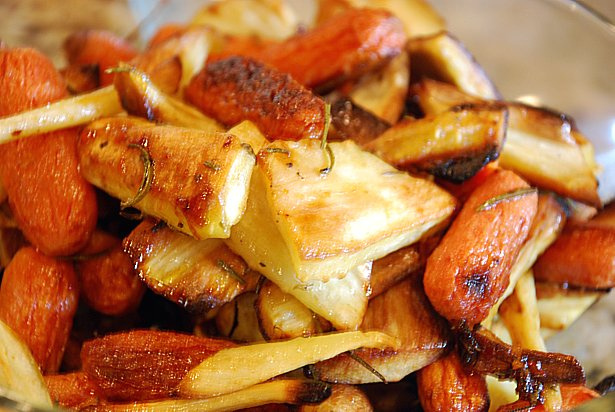 They’re full of flavor, and so very good for you! 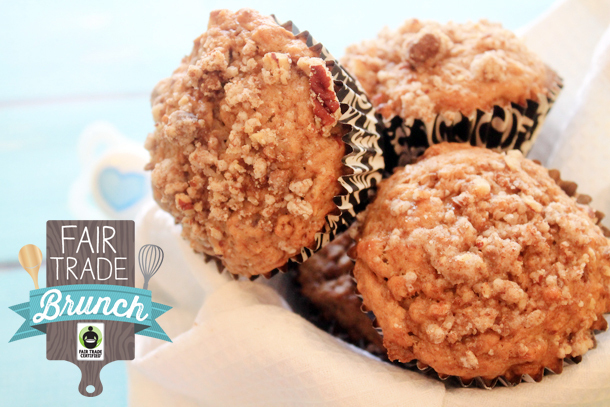 I love sweets–like muffins–for brunch. I also like baked oatmeal with fresh fruit. And Fair Trade coffee with cream. Thanks! 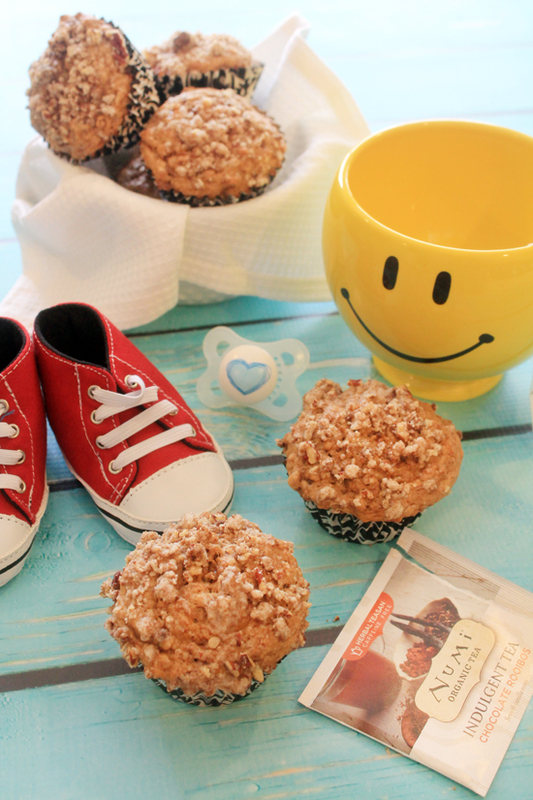 So happy for you–to be celebrating your first Mother’s Day as a mom! The photos with the little red sneakers are adorable. I like blueberry lemon cake with coffee for brunch. Definitely bacon and eggs is my favorite brunch dish. Also like fair trade coffee! Thanks! Fair Trade coffees and teas are favorites of mine! I love french roast coffee! I’m afraid my favorite thing for brunch is rather simple: oatmeal and some fruit. Same could be said for breakfast sure. But it’s what I enjoy. I haven’t thought about fair trade items but now I will. COFFEE. Coffee is what it’s all about! I’ve tried fair trade coffee and enjoyed it, but when I need coffee, I’m not very picky – i just need caffeine! I love Starbucks fair trade coffees for brunch! I love bagels and smoked salmon for brunch! These muffins look perfect. Such a yummy flavour! I rarely have brunch, but when I do, I like the breakfast casserole with egg, cheese, onion, shredded potatoes and ham. Yum! I do often buy Fair Trade coffee and have recently discovered Numi teas. I buy a wide assortment of flavors. I also like to buy Fair Trade dark chocolates. I most of the time buy the Fair Trade bananas so that I can help their efforts. I have never tried Fair Trade products so winning this would give me that opportunity. I don’t often get the opportunity to have brunch but if I did my favorite thing would have to be some sort of crepe. The idea of using chocolate tea in a recipe is intriguing! My fave brunch has to involve biscuits, no matter what else is served!